When you purchase a set of 4 Tires at Battlefield Toyota. * Free lifetime tire rotations for the life of the purchased tires. 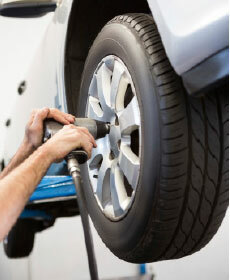 This offer is good with the "Buy 3" Tire Savings Event. Valid only at Battlefield Toyota. No Cash Value. Not retroactive. See Service Advisor for details.